The pieces included in this volume address the enduring influence and importance of Fred Rogers's work in children's television. The contributors, representing a wide range of disciplines - art, psychology, medicine, social criticism, theology, music, and communications - include David Bianculli, Lynette Friedrich Cofer, Nancy E. Curry, Ellen Galinsky, George Gerbner, William Guy, Lynn Johnson, Jeanne Marie Laskas, Susan Linn, Mary Rawson, Mark Shelton, Roderick Townley, Paula Lawrence Wehmiller, and Eugenia Zukerman interviewing Yo-Yo Ma. 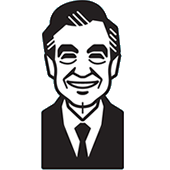 Born in 1928 in Latrobe, Pennsylvania, Fred Rogers began his television career in 1951 at NBC. He became program director in 1954 for the newly founded WQED-TV in Pittsburgh, the first community-supported television station in the United States. From 1954 to 1961, Rogers and Josie Carey produced and performed in WQED's The Children's Corner, which became part of the Saturday morning lineup on NBC in 1955 and 1956.